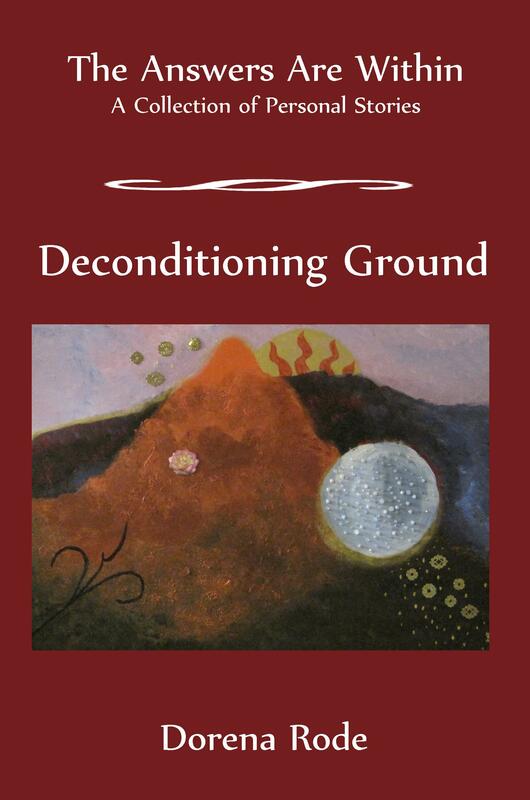 Deconditioning Ground is a collection of personal stories that are intended to provide the reader with inspiration and personal insight into their own spiritual journey. This collection primarily focuses on Dorena’s process of eliminating automatic reactions that reduce the capacity for enjoying life. With a desire to create more meaningful relationships and invigorating work she goes deep within to find the habitual mental processes that keep her locked into an unconscious way of living. Within each story, Dorena demonstrates the use of many practical tools for creating more ease and clearing away worn-out habitual responses. The reader is invited to garner ideas and apply her methods to their own life in order to create the life of their dreams. Ground is another name for our primordial state of being. It is a state of pure inner wisdom and clarity. To abide in ground is to dwell beyond the constructs of conventional reality. Deconditioning Ground is the process of removing the dysfunctional automatic reactions that prevent the continuous enjoyment of resting in ground.